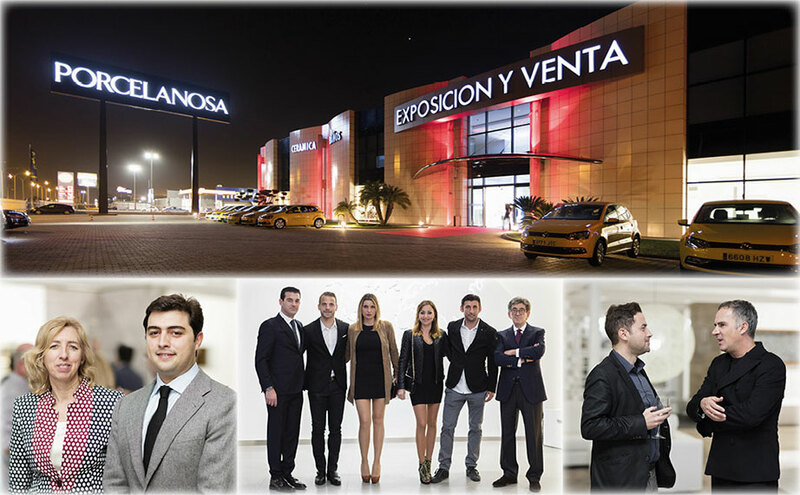 On Friday the 17th of February the showroom of PORCELANOSA Group Valencia was reopened in the city of Albuixech. This event focused its attention on the design and presentation of the latest products of the firm, providing guests with music and gastronomy, and creating a friendly, pleasant atmosphere. Among the distinguished guests at the event were important personalities from sport, architecture, interior design and construction, as well as property promotion. Likewise, saxophonist Don Polo and DJ Víctor Soriano provided live music to liven up the event, while chef Manuel Alonsoprepared delicious showcooking and catering for the attendees to sample. As an example of the synergy between gastronomy and PORCELANOSA Group, the Michelin Star chef presented his dishes on plates made with KRION®, which he uses in his restaurant Casa Manolo in Daimús; as well as various trays created from ceramic pieces and industrial materials. It was an experience for all five senses, which allowed guests at the event to enjoy the reopening and to participate in the activities that PORCELANOSA Group had prepared for this special occasion. All images of the event are available on our space on Flikr.